Hannah and Sam have had a bit of a rocky start to their relationship but they're back on track and more in love than ever. Hannah and Sam live in Hong Kong but are planning a trip to America to visit Hannah's parents over the Christmas period. When Sam announces he needs to speak to her parents during the trip, Hannah begins to panic, assuming he is going to ask for their permission to marry their daughter. Hannah loves Sam but she isn't sure about marriage after all the problems they've had in the past. She can't have Sam proposing in front of her family because she isn't sure whether she is going to yes. Hannah devises a plan. She has twelve days until they fly to the US and in that time she must get Sam to propose to her. 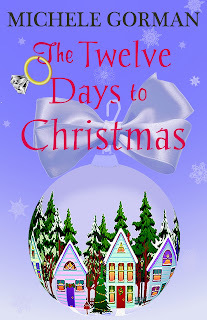 The Twelve Days to Christmas is the third and final instalment in Michele Gorman's Single in the City series. I've already read Misfortune Cookie but it doesn't matter if you haven't read any of the other books as everything is explained within The Twelve Days to Christmas. 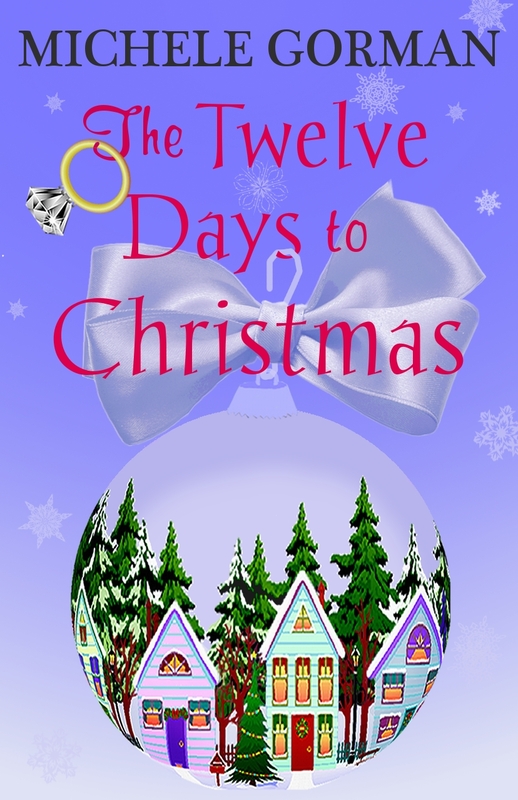 The Twelve Days to Christmas picks up a few months down the line from Misfortune Cookie and although Hannah loves Sam, she isn't so sure their relationship will last, especially as she has been keeping a big secret from him. I liked the beginning of each chapter, which parodied the song 'The Twelve Days of Christmas' with the words changed to fit each chapter. It was fun and also acted as a countdown to Hannah's plan. The Twelve Days of Christmas is an unusual Christmas read as it takes place in Hong Kong where there isn't any of the typical snow and freezing weather and the first scene takes place on the beach but it was a fun, quick read that rounded off the series nicely. Thank you to Michele Gorman for providing me with a copy to review. Michele will be signing and inscribing the book. eBooks can be given as gifts through Amazon and Barnes and Noble, and readers can make a request for a free personalised eBook inscription through www.kindlegraph.com (adding their friend’s kindle or regular email and a note so that she knows who it’s from/for and the occasion). The inscription works for any eReader, not just kindles. You can also request a paperback inscription here (http://michelegorman.co.uk/Bookplates.html) and she’ll send you a bookplate with the inscription to paste inside the front cover. Yay for Michele! I've read her other two books and really enjoyed them, so I'm looking forward to this one, too. I've only read Misfortune Cookie (and this of course) but it rounded the story off nicely.